A new feature of the Skills Label Dashboard is viewing a series of labels based on performance. Student / professionals navigate through labels based on their performance, which could be one of four possible options: 1, 2, 3, and 10 outcomes. Still, I think having links to all the options has its advantages. Students know ahead of time what their options are and how they have to perform to reach a desired outcome. This Hierarchy View is an optional view within the dashboard. Students can opt to the traditional tiled, drag and drop functionality of the dashboard. 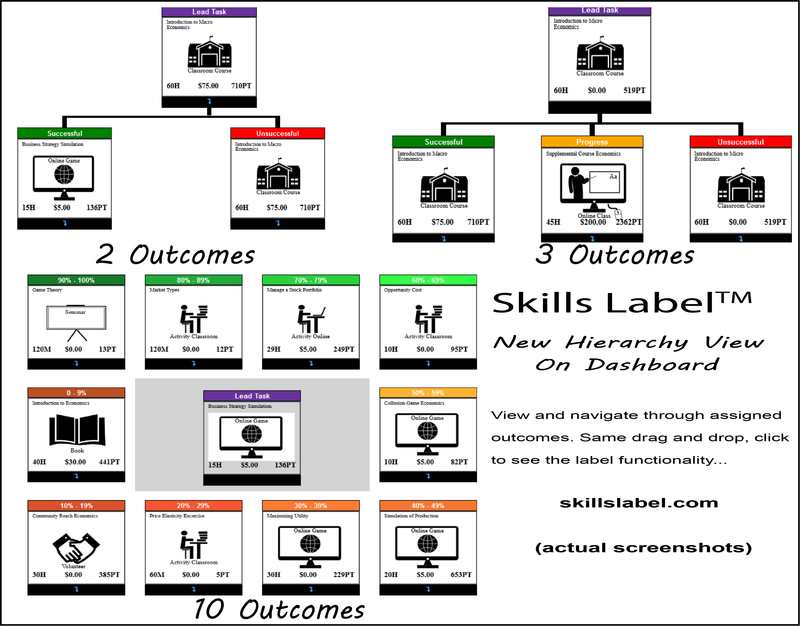 Start creating your own series of learning labels at Skills Label TM .